Need Corporate Marketing or Training? It’s all part of what we’ve been doing for nearly 50 years. Promote a new product or service. Reach out to employees or clients through a webcast. Build a library of videos to train new personnel or make that big splash at the next international trade show. These are all projects we’ve completed for many clients along with a lot more and we’re here to provide you the same quality product with excellence in customer service. Who Is Production Services / AZ? Simply; the oldest, longest operating and veteran owned production company in Arizona. 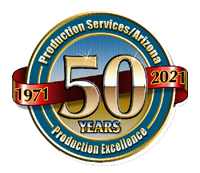 Since the first Fiesta Bowl in 1971, PS/A has served the marketing and training needs of companies nationally, and internationally, with a wide variety of production services. Services meant to meet their goals while meeting their budgets. One place – one source, saving a client’s money and time. Yes, for nearly 50 years, small, large and start up companies have entrusted us with their important projects; from nuclear plants to weapons ranges, boardrooms to surgery suites. Our video productions, webcasts, graphics and more have been successfully used to sell, inform, motivate, entertain and instruct around the world. Our clients? Large tech companies like Intel, Northrup Grumman, ATMI and Honeywell; major healthcare groups like Johnson & Johnson, Smith & Nephew, and HealthChoice; leading developers and construction companies like Kiewit Western, Hunt, D.R. Horton, Spain’s ABENGOA and Italy’s Stilo. For complete information on our services, visit our SERVICES page. See what our CLIENTS have to say about our superior customer service and quality of product. We’re not the biggest, we just want to be the best for your project. 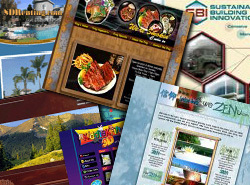 From your business card to a billboards, brochures to detailed catalogs and newspapers, we’ve created a lot of materials for a variety of industries. 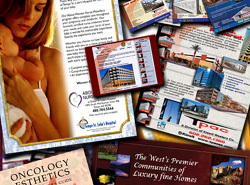 Logo designs and medical illustrations and more are part of PS/A’s many services. There are a lot of web people around – but we don’t turn out 500 websites a month – it’s not our thing. We provide function as well as design when a client needs a special web direction as HealthChoice, Swift and others have needed over the years. Whether you need your message to a few or a few million, from your office, a venue or our studios, we provide complete services from “Direct to Web”, SAT Truck or Microwave. Advance planning is the key for success. 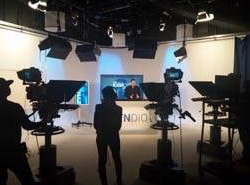 “Production Services is BroadcastMed/ OR-Live’s go-to resource in the Southwest. Always dependable, always imaginative, we rely on their professionalism and experience to bring out the very best in our programming. A long-time partner in our live event production of sensitive surgical cases, Production Services has repeatedly demonstrated their flexibility in helping us to develop and produce a broad range of video-based content. If you want a first-rate production, and you like to laugh a little bit along the way, this group is a can’t miss choice. Tod Higinbotham - Executive V.P. 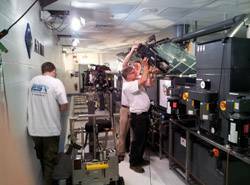 Microelectronics ATMI, Inc.
“Ron and the team at Production Services provided my company (ATMI) excellent service and support for multiple projects. Our needs spanned simple, internal training videos to high-production value marketing materials using high speed cameras and specialized photography. It is great to have a service provider that takes ownership as a “partner” and delivers on their promises of quality and professionalism. Production Services will help manage the overall process from start to finish and do it at a reasonable price. I highly recommend their services! “If the Grand Canyon, Yellowstone and Yosemite are the “gems” of our National Park system, Production Services is the gem of this industry. I have worked with many companies in this field over a 50 year career and this company is without equal in every respect. Talented, creative, friendly, open-minded, timely, very competitive pricing….superior in every respect. “Our intricate, complicated nuclear training programs were needed quickly and yet with concise, specific goals in mind. Over the years you’ve succeeded every time and our industry conference reports were well received. Need us immediately? Reach us within seconds by using the form below. We’ll be notified and will respond – assuming we’re not currently involved in a client’s production or meeting. Thank you for reaching out. Division of Group AMC Inc.